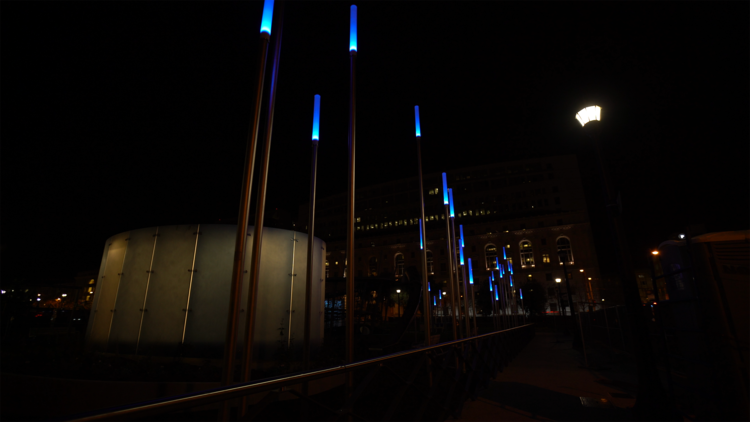 Anticlockwise Arts and I collaborated to provide two interactive lighting installations to connect the new Helen Diller Civic Center Playgrounds at San Francisco's City Hall Plaza, which opened in February 2018. 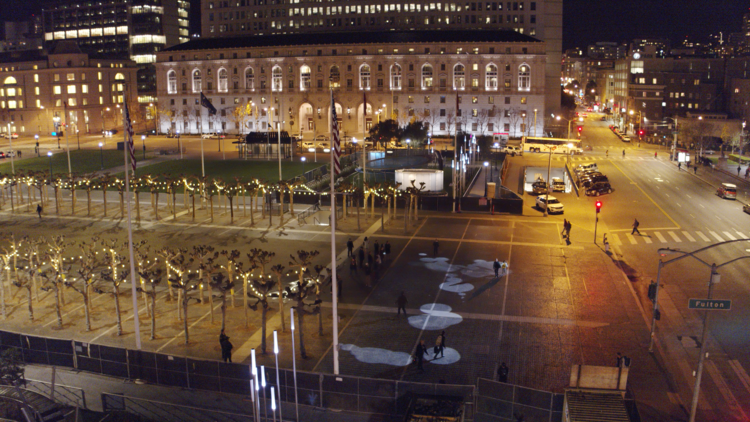 KARL asks the question “What if San Francisco’s fog visited the plaza to play with visitors?” while Pixel Poles creates a forest of animated light. The projects were created in partnership with the San Francisco Recreation and Park Department, The Trust for Public Land, and Andrea Cochran Landscape Architects. Casual visitors are greeted with subtly accompanying projected fog droplets and ripples of light. As visitors engage more vividly, the projected light responds with a more vibrant personality and livelier animations. To create the effect of immersive fog with a personality, “KARL” incorporates computer-vision techniques as well as a fluid simulation based on characteristics of San Francisco’s fog. Below is the initial small scale prototype of the KARL concept.